ZTE has unveiled their latest smartphone, the ZTE Nubia X and the handset is slightly different as it comes with two screens, one of the front of the handset and one on the back. On the front of the handset there is a 6.26 inch display that features a Full HD+ resolution of 2280 x 1080 pixels, the handset comes with a secondary display on the back which is a 5.1 inch display. The rear display on the handset comes with HD+ resolution of 720 x 1520 pixels and the handset is powered by a Qualcomm Snapdragon 845 processor. 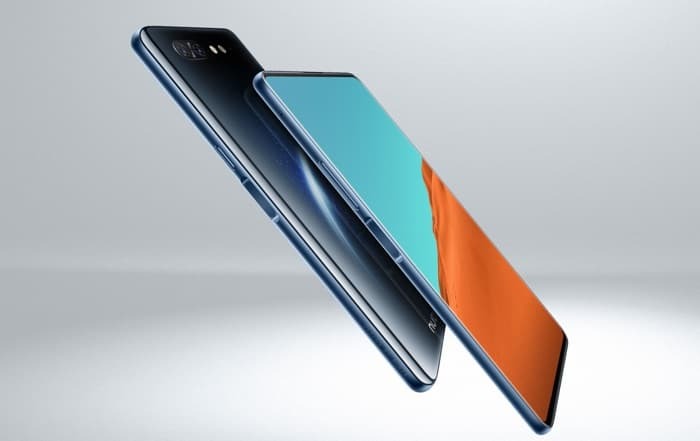 Other specifications include a choice of 6GB or 8GB of RAM and a choice of storage from 64GB to 256GB, the handset also comes with high end cameras. There is no front facing camera, you are supposed to use the rear camera and the rear display for selfies. On the back there is a dual camera setup with one 16 megapixel camera with a f/1.8 aperture and one 24 megapixel camera with a f/1.7 aperture. The ZTE Nubia X comes with Android 8.1 Ore and it features the company’s UI 6.0.2, pricing for the device will start at CNY 3,299 which is about $473 at the current exchange rate.